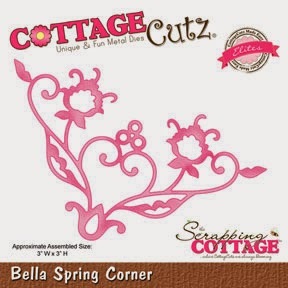 So for the month of May I designed the front cover with CottageCutz dies. 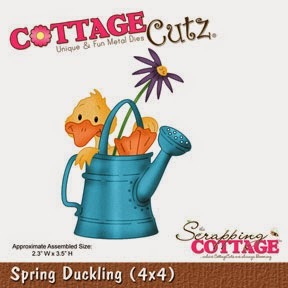 LOVE this sweet CottageCutz Spring Duckling, and Springtime Bluebell Flowers. I love the colors on this page! Both of these CottageCutz are colored with copic markers. Next I used Really Reasonable Ribbons Noelle Lace down the right side of this page. and then used the Shimmer Satin Ribbon and Sweetheart Blossom flower also found at Really Reasonable Ribbon.\the design Paper from American Crafts its the Pebbles line called "Garden Party". I also used the Thickers they are American Crafts "Lullaby". For the next 2 pages I used coordinating embellishments from American Crafts Pebbles line for "Garden Party". I thought this line was perfect for this months calendar. It was a super fast put together for these 2 pages. I also used tons of RRR. I hope you enjoyed today's Post as I had lots of fun creating it! Thank you so much for visiting today. It's Carol here with a creation for you to view. 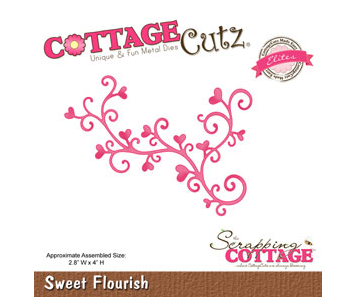 For today's project share the main focal point on this card is the beautiful Springtime Floral Die from CottageCutz. Isn't it so pretty. It's a good size and is perfect for any occasion. You could say this is a Clean and Simple Card for me-as this is about as CAS as I can get....lol This card was so much fun to make. 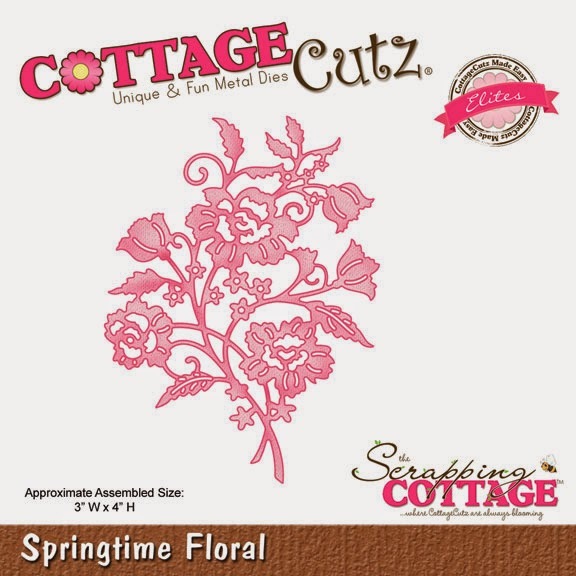 To begin, I cut out 3 of the Springtime Floral dies. For the base, I used Mowed Lawn distress ink on the stems and leaves. 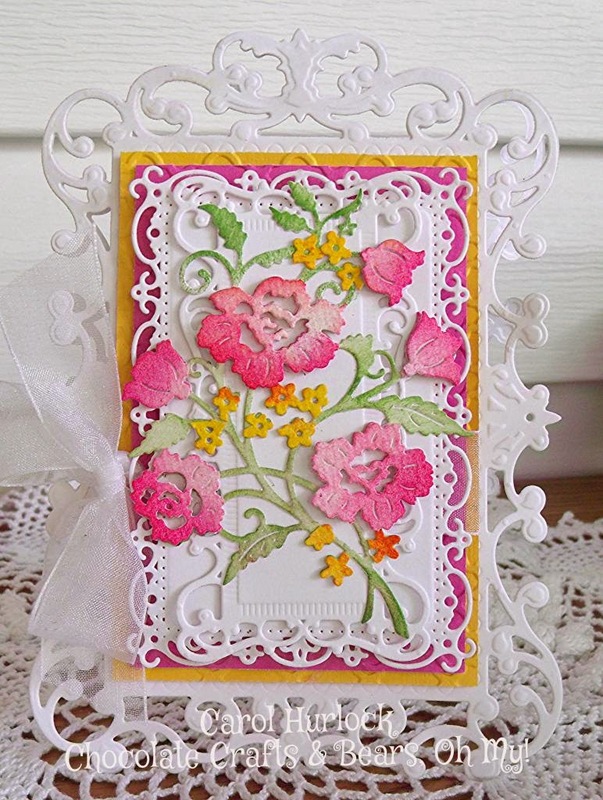 On the second die I used Picked Raspberry distress ink to color the pretty flowers. I then cut them off the stem and popped them up on the base die. For the third cut Springtime Floral, I distressed with Mustard Seed Distress ink, cut them off the stem, and glued them in the appropriate areas on the base. I just can't stop making cards with different quotes which I find on internet. This one is from Goethe. But this time, quote was not first, it was rabbit in top hat and then I´ve searched for quote. Do you still remember this trick with rabbit and hat? 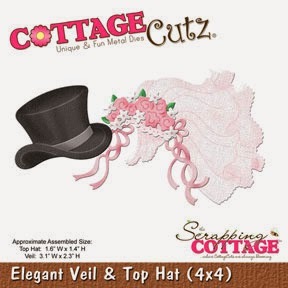 Today magic is a little bit different, but when we were kids it was funny.Motive is combined with two dies: SpringtimeFriends and Elegant Veil and Top hat. I get this idea when I turned Top hat upside and immediately I saw rabbit in it. From this step, everything was really simple. So, turn on your imagination and combine different dies, possibilities are endless. 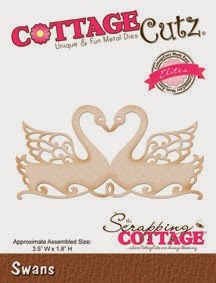 Hello everyone, Cheryl here today with a Wedding Easel Card I made for the Scrapping Cottage using the Beautiful CottageCutz dies. Some of these are from the New Wedding Release found here. 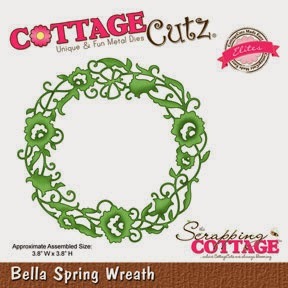 For the front of my card I used the CottageCutz Bella Spring Wreath ,I cut it out in cream card stock, and then dusted it in Antique Linen. Next I used the CottageCutz Elegant Veil & Top Hat, and my video shows how I did these. 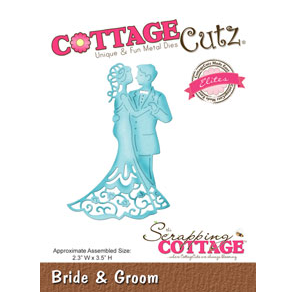 Lastly I cut the CottageCutz Expressions "Bride & Groom" in a black shiny card stock. 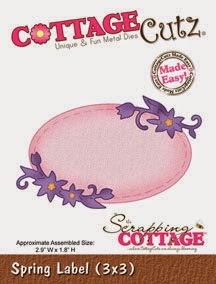 I also used the CottageCutz Fancy Floral Lace Border along the right side of the front. Next for the inside I used the CottageCutz Bella Spring Corner , it was cut in cream card stock and dusted with antique linen. 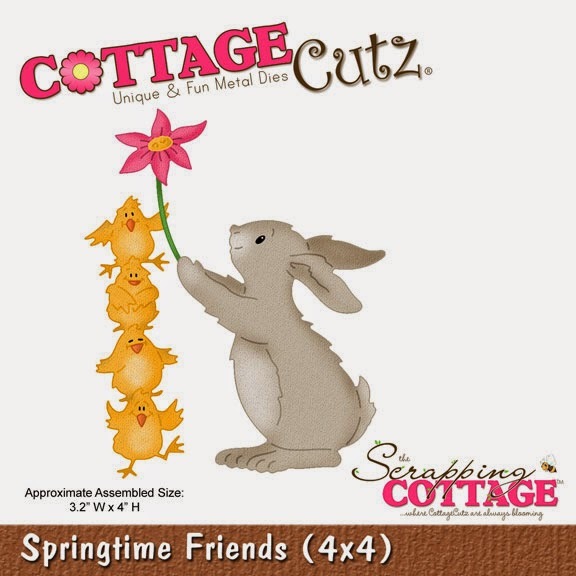 Then I used the CottageCutz Spring Label for holding up the easel part of my card.For this I did the same as all the other cream pieces, but added some Really Reasonable Ribbon seam binding around it, and then made bows, and added them to each side with flowers and leaves. 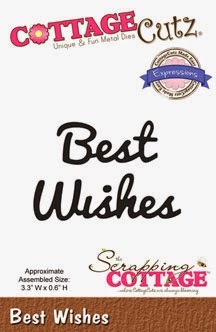 I used CottageCutz Expressions "Best Wishes" die cut for the sentiment on this tag. The lace I used is vintage. All photo's are linked to The Scrapping Cottage for easy finding! Its been awhile since I've made an Easel Card, so this was super fun for me! Thanks to Carol for the Inspiration! Hugs!! 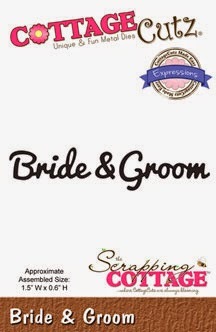 1x black glitter paper for the groom's tux. card stock. I colored the hearts with red copics. and dry embossed it with the hand writing folder. I distressed the edges with Gathered Twigs Distress ink. Here is a close up photo of Bride & Groom. Happy Beautiful Spring! It's finally here! Warmer temps...flowers in bloom...fresh, spring air...the sounds of kids playing outside...love it! 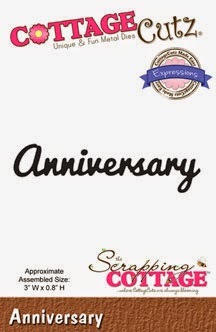 Today I am sharing with you new Anniversary card I created with beautiful CottageCutz Collections of dies. 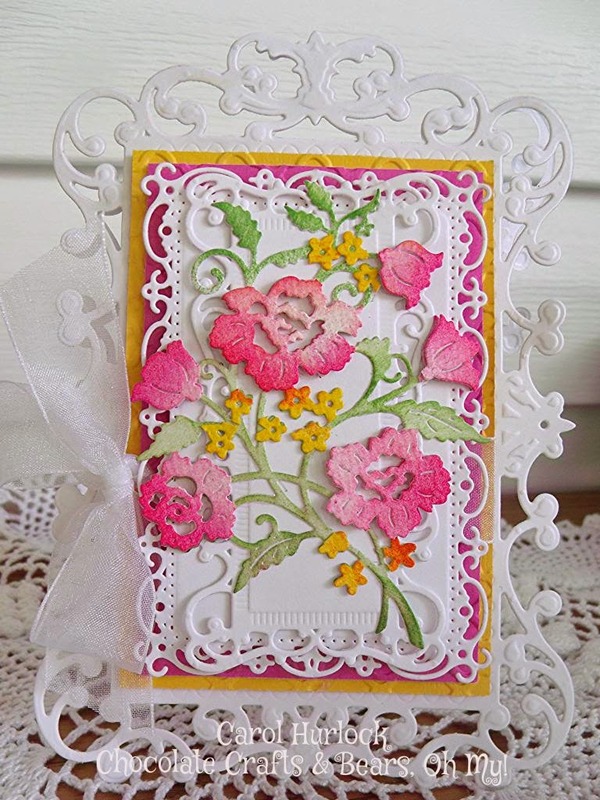 For this card I used beautiful Daisy flower die. 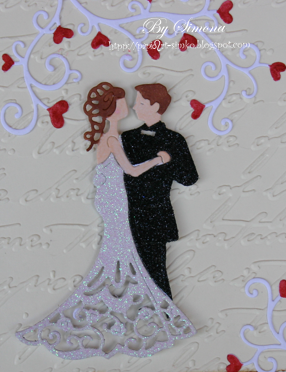 First, I made background using embossing folder. 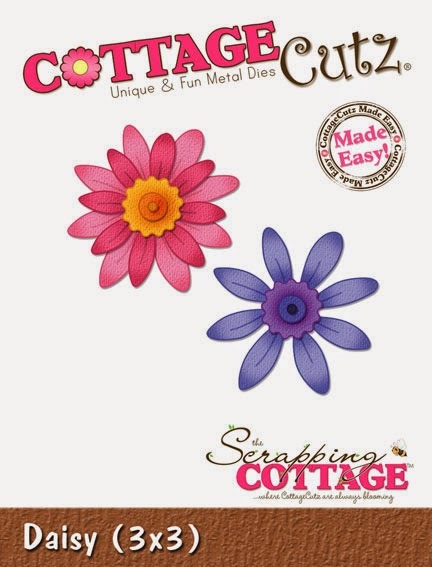 Then, I cut daisy flowers out 5 times and glued each flower to base card. 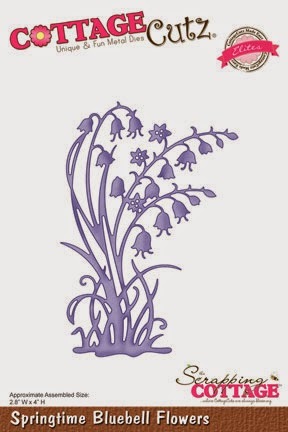 Added dew Drops in the middle of flowers and stamped sentiment. 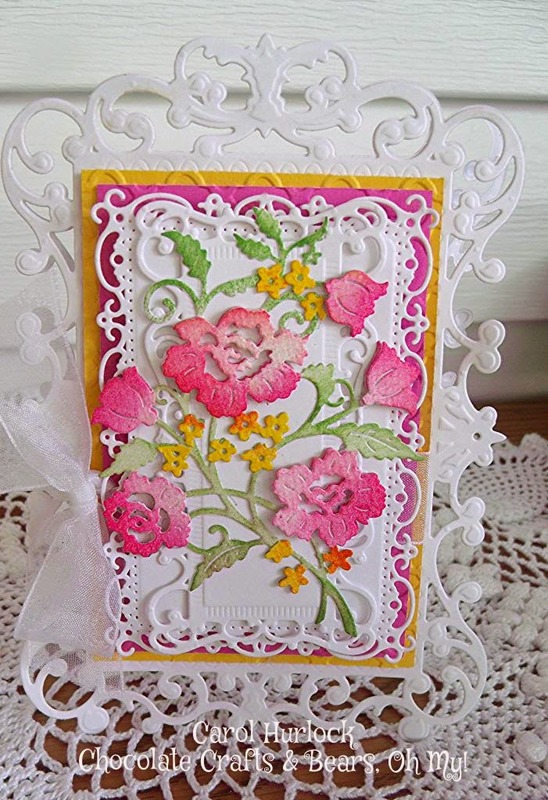 Kathy with you today with an easel card I made using the Swans Die from the CottageCutz Wedding Release, along with the Starburst Flower, Happy, Anniversary, Fancy Lace Border and Greenery Dies. It's hard to show just one picture of an easel card, so I have a bunch for you! Here's a view from the front. Here are views from the side. And finally, a close up of the front. To make my card, I used cream card stock to create a 4 1/2" x 4 1/2" easel card. 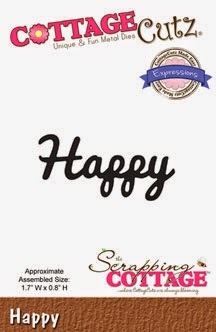 (If you're not familiar with easel cards, there is a tutorial on Split Coast Stampers here that you can refer to as a guide.) 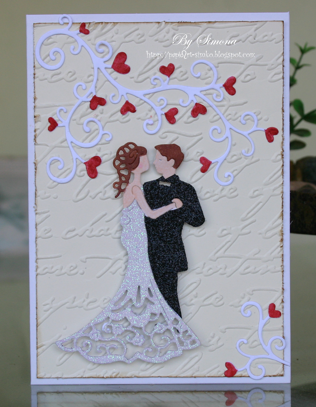 I added a black mat to part of the front that is embossed with a polka dot embossing folder and popped it on the base. I cut the Fancy Lace Border Die twice, once with black and again with LeCreme Designer Paper and added them to the bottom of the mat. The Swans Die was cut with the cream and added with pop dots. 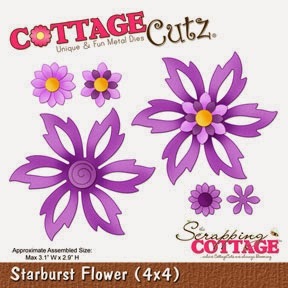 The 2 small flowers from the Starburst Flower Die with also cut with LeCreme DP and added the the Swan. 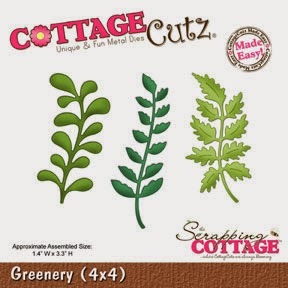 Two leaves were added to either side of the flowers cut from the Greenery Die using black card stock. For the inside of the card, I cut the sentiments using black card stock and added them by running them through my Xyron Create-a-sticker Machine. I then added a piece of black trim and one of the Greenery Dies cut using black card stock. To finish my card, I added a bow made with Cream Seam Binding and a couple of black pearls. These are the dies I used on my card.